The machining process for skived fin heatsinks uses cutting tools and a controlled slicing technique to manufacture heatsinks from a solid block of aluminum or copper. 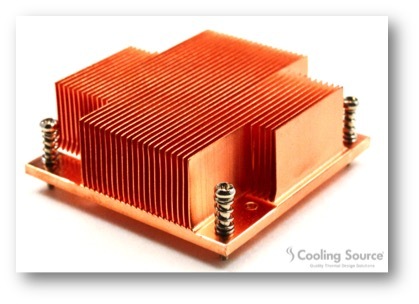 This process can be used to create heatsinks with thinner blades than are possible with extruded heatsinks. However due to the thin fins of this type of heatsink, greater care must be taken when handling them.